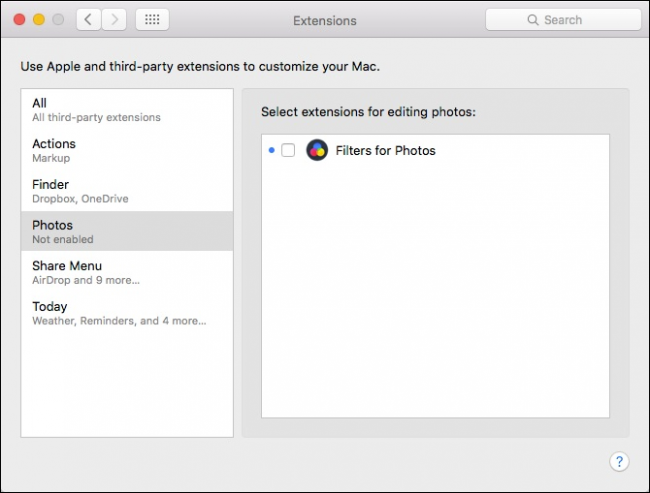 Photos for OS X is already a fairly full-featured application, but with extensions that you can easily add in just a few clicks, you can make it do even more. 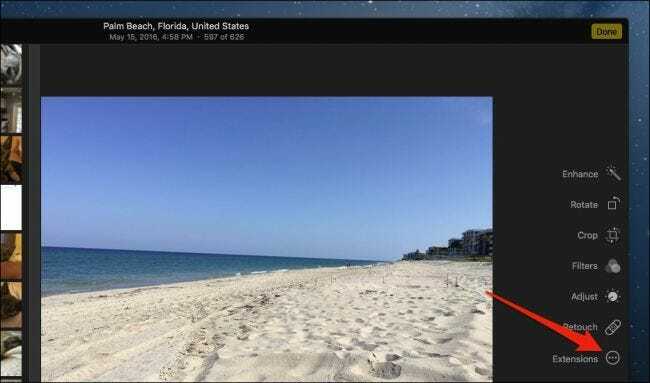 Photos extensions, by their very nature, “extend” the functionality of Photos, giving it more power and features in addition to the ton of cool powers and features Photos already has. There’s a lot of obvious appeal in being able to extend the function of Photos, especially if you can’t afford Photoshop, and don’t want to try to figure out GIMP (shudder). Before you install Photos extensions, you need at least one extension, so check these out and see if anything piques your curiosity. It’s probably best if you download a free extension before you take the plunge. Befunky comes with a lot of cool features, which will let you “quickly and easily create stunning selfies, fix family photos, liven up landscapes.” It includes Auto Fix, which provides single-click results; Skin Smoothing to buff out imperfections; HDR for perfect lighting; and even a Teeth Whitener. Befunky will set you back $4.99, but you can try it out for free on their website. 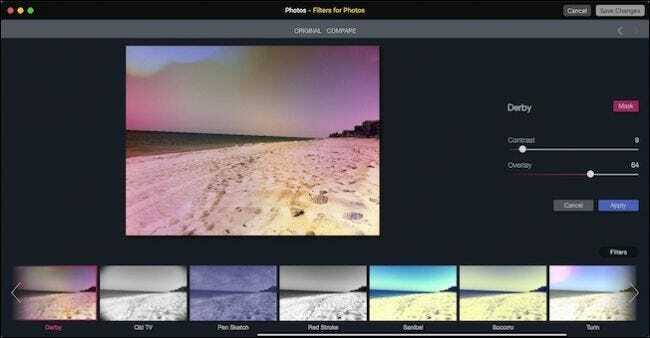 Macphun offers several powerful extensions, including Filters (which add a few more fun filters for free), and Tonality ($9.99), for editing monochrome photos. There’s also Snapheal, which lets you remove unwanted objects and imperfections for $4.99, and finally, you can get booming enhanced color and lighting with the Intensify extension for $11.99. Not only does it have a catchy name, the extension is pretty nice too. Pixelmator will cost you a cool $29.99 but will give you painting, retouching, layer style, retouching, and more. If you find yourself drawn to the simplicity of Photos but want to give it the power of a full photo-editing suite, then Pixelmator will do the job. Finally, if you do have a photo editing program you prefer over Photos, but still like the convenience of being able to use Photos to organize and categorize your work, then there’s External Editors for a paltry $.99. External Editors lets you add and manage external editors, convert from RAW to TIFF or JPEG, and more. Check out the developer’s website for more information. Once you have your extension in hand. It’s time to install it into Photos. For our purposes, we’re going to try out the free Filters product from Macphun. The first thing we have to do is retrieve it from the Mac App Store. Once it’s installed, open up the Photos app. 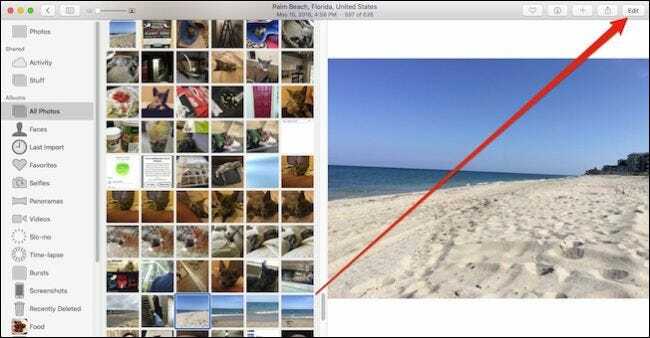 There are two ways to enable and disable extensions in Photos. Method number one is to do so from the Photos app. First, find a photo you want to edit, click on it and then the “Edit” button in the top-right corner of the application. Next, click the “Extensions” button in the lower-right corner of the editing window then “More”. If the next screen looks familiar, then it’s because you’ve probably dabbled in OS X extensions at one time or another. This control panel can also be reached directly from the System Preferences > Extensions (this would be the second method). Now, we will enable the extension by checking the box next to the name. Then exit out of the extensions control panel. Once you’ve returned to Photos, click the “Extensions” button again and now choose the one you wish to use, which in this case will be the only one we can use: Filters. Now we’re whisked to the new extension interface, where we can apply our intended changes. When we’re done, we can either cancel out or click “Save Changes” in the upper-right corner. Right now, the number of extensions available for Photos is still somewhat sparse, though we would hope the situation will improve as time goes on. Still, the extensions that are available (there are more than what we specifically mentioned) do add a lot of capabilities to Photos, even if some of them will set you back as much as $30. Besides, $30 is a whole lot less costly than paying for a Photoshop subscription (and less time-consuming), not to mention a lot easier for most users than GIMP.